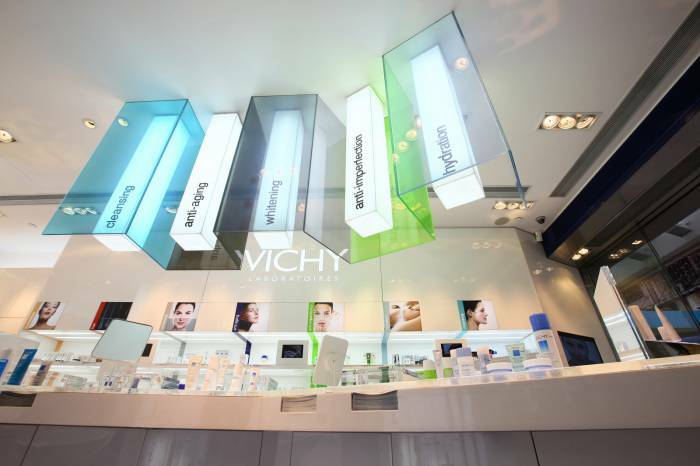 Vichy Laboratories is a pharmacy based skin health boutique which sells product to improve skin quality. 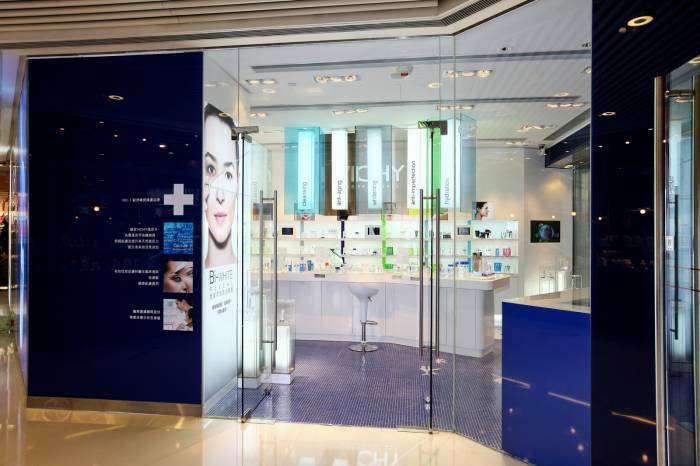 In order to provide a professional experience to the customer, there are no excessive decorative elements to the interiors, though, still giving a sense of neat, chic and modern. 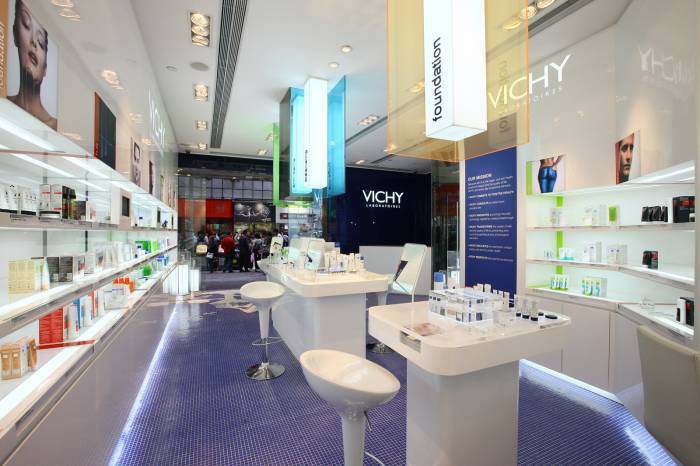 Starting with a fountain's mosaic artworks on the floor which is the main ingredient of Vichy's product. 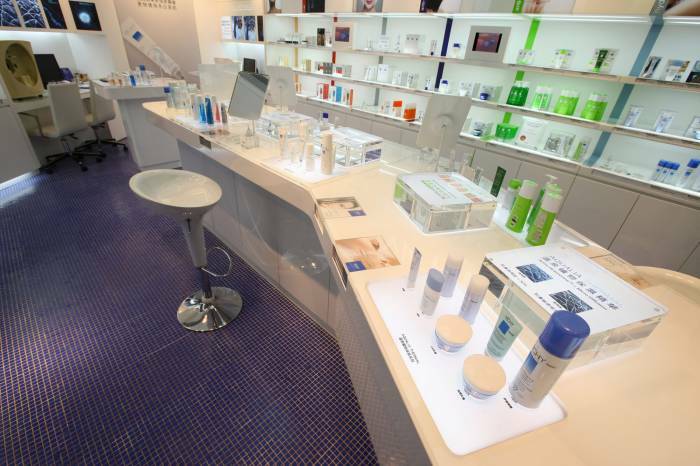 After that, there is a testing bar locating in the middle of the store and each product line is simply divided by the illuminated tinted glass hanging from the false ceiling. 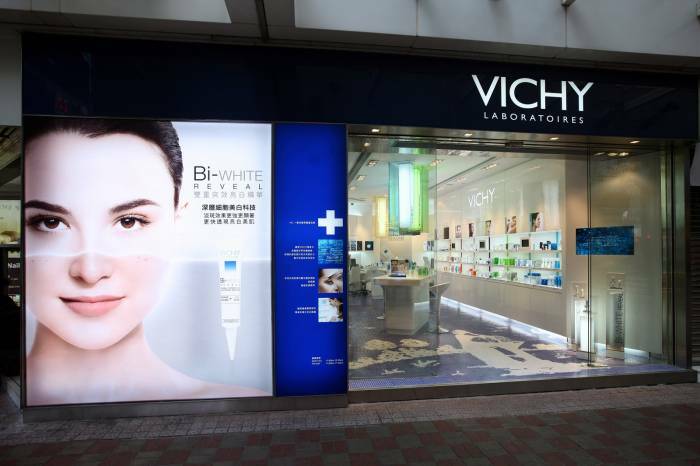 Whereas the wall display unit, which is presented neatly with a series of color stripe for differentiate each product line as well.